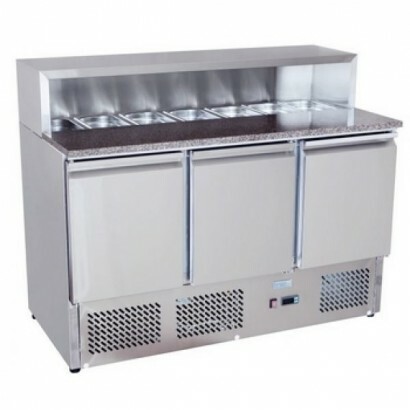 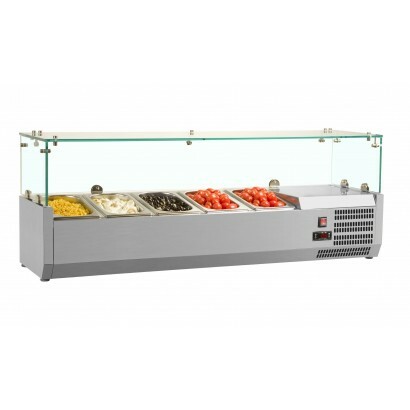 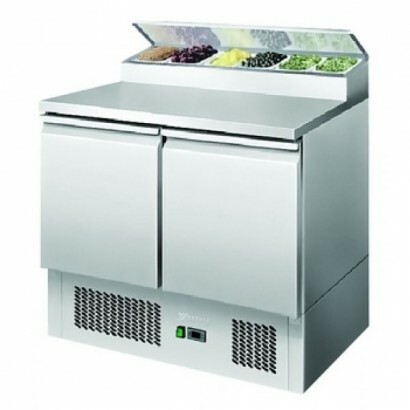 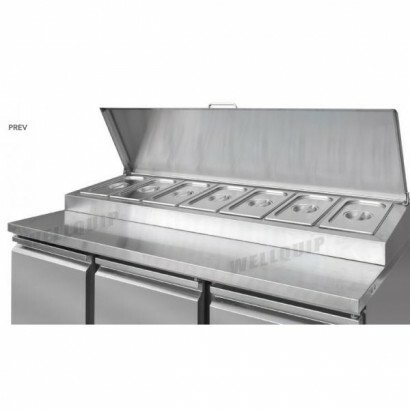 Ideal for the preparation of sandwiches, pizzas, and salads, the commercial refrigerated prep top can be used on an existing counter top and is available in range of sizes to accommodate a large range of gastronorm pans. 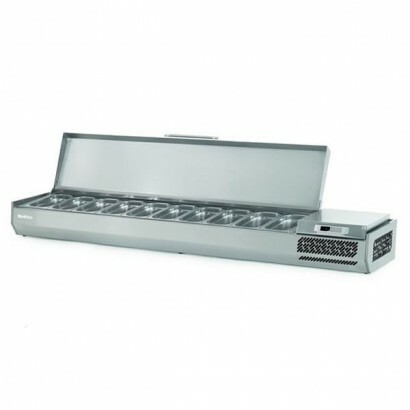 The Interlevin VRX Range Topping Shelves include the VRX330 and VRX380 prep tops. 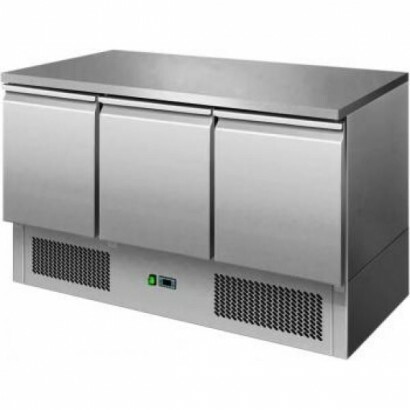 These are refriger..
A 1.2m refrigerated prep well with capacity for 4 x 1/3 gastronorm pans. 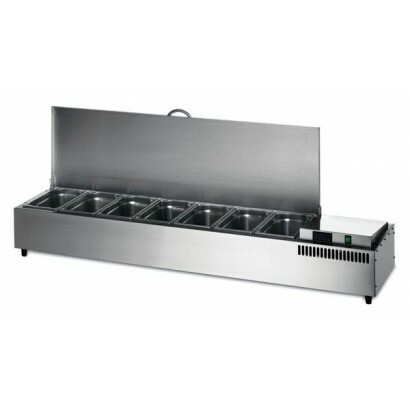 The unit comes supplied wit.. 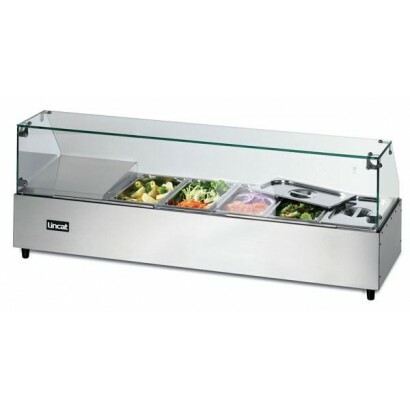 Ideal for the quick and easy access for chilled sandwich fillings, pizzas toppings and salad items, .. 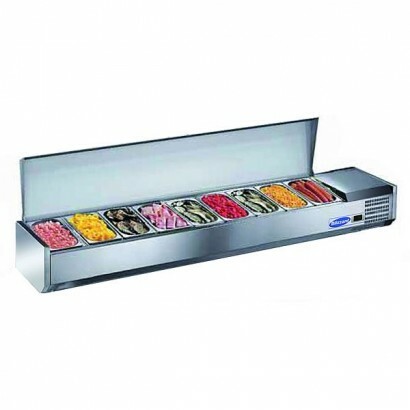 Product Information External Dimensions: H 262 x W 1225 x D 375mm Standard Delivery: 3-5 Wor.. 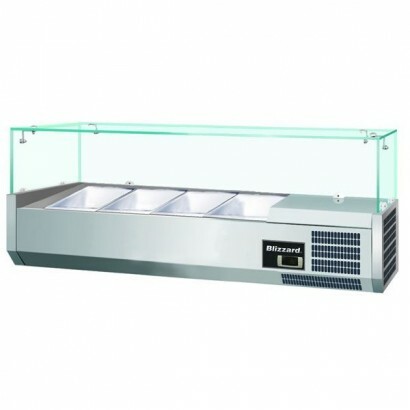 Product Information External Dimensions: H 262 x W 1580 x D 375mm Standard Delivery: 3-5 Wor.. 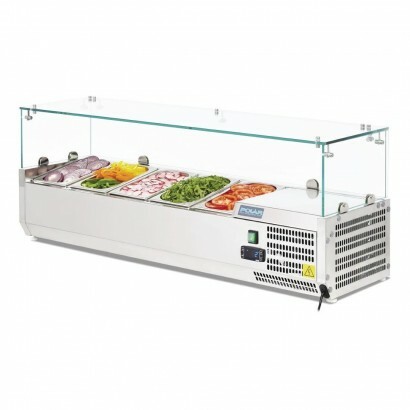 The Infrico counter top prep unit is ideal for the holding pizza, sandwich and salad items for easy ..